Progressive Freight’s U.S. Government division handles military cargo on a routine basis. We move everything from daily SRO’s and specialized transport cargo to emergency cargo and specialized moves including heavy hauling freight. 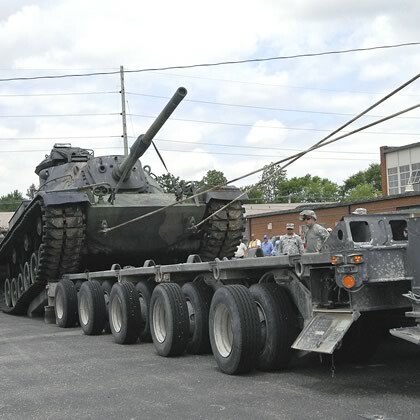 Through Progressive Freight’s network, we have the hauling capacity to handle almost any piece of equipment the US Military moves over the road. We also work closely with the United States government to support emergency initiatives across the board from the Department of Homeland Security to FEMA. Our service levels always exceed expectations and we understand how to deliver on time pickups and deliveries. We are a GSA approved Freight TSP and Military Transport Service Provider. We’ll exceed your expectations from a service perspective and start working on a solution for you.